Choose a “mini” Archetype eCourse below, or the full IN THE STARS program, for a meaningful, self-paced, creative exploration of your birth chart through lessons and guided Creative Practice. Please note: all content and lessons in the “mini” and short eCourses below are part of IN THE STARS, which is now available as a self-paced, unlimited access, immersive exploration with additional perks. 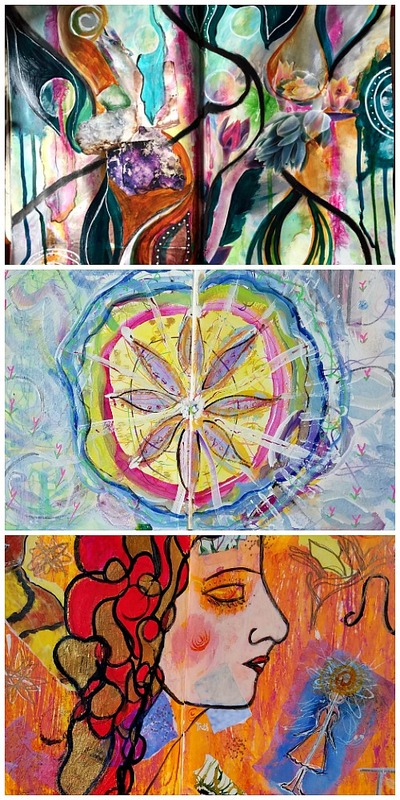 Since we each have all the planets and signs somewhere in our unique birth chart, you may enjoy every one of the “mini” eCourses. However, some will speak to you more resonantly. Starting with an accurate Sun, Moon or Rising (Ascendant) Sign (your dominant archetypes) - and the planet that is said to ‘rule’ that sign - is a great place to begin exploring your chart more deeply. If you are just beginning with astrology, it may be helpful for you to begin with my FREE Introductory Guide to Astrology. Identify the ‘planet’ it is correlated with (called the ‘ruler’ of that sign) - see the chart on the right or below. Pick that planetary mini-course below and enjoy! 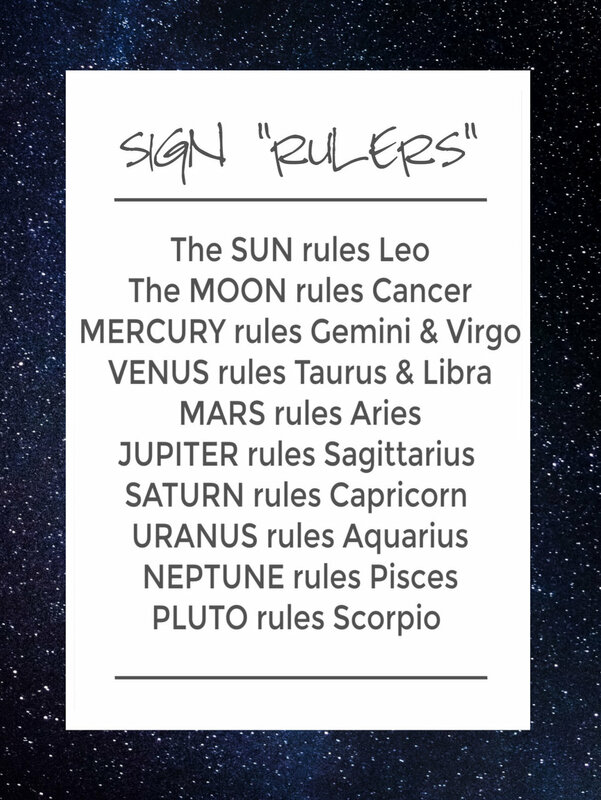 For example: If my Sun sign is in the sign of Scorpio, then I see that Scorpio is ‘ruled’ by the planet Pluto. So I will select the Pluto mini-eCourse below to get a deeper, more comprehensive understanding of my sun sign in Scorpio. You can pay securely with credit card or Paypal, and you can purchase more than one at a time if you like. Is your Sun, Moon or Rising Sign in LEO? If so, this "mini" is especially for you. Take a comprehensive look at the archetypes and instincts symbolized by THE SUN and the sign of LEO. 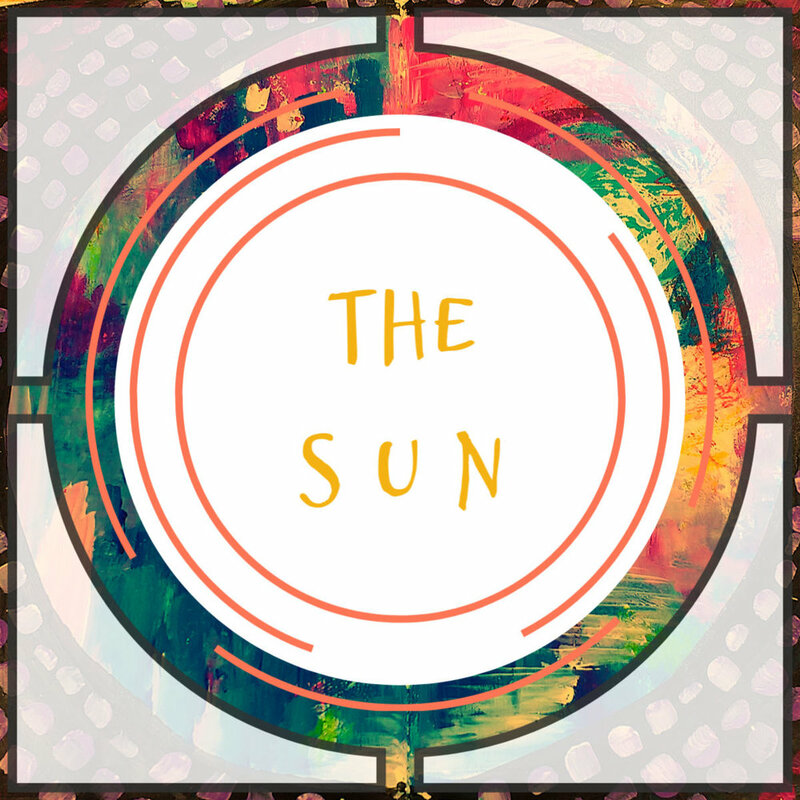 Includes a Sun audio lesson, Leo video lesson, a guided Sun-archetype Creative Practice Invitation (Elements of Self) via video(s), and reflective journaling prompts. Is your Sun, Moon or Rising Sign in CANCER? If so, this "mini" is especially for you. Take a comprehensive look at the archetypes and instincts symbolized by THE MOON and the sign of CANCER. 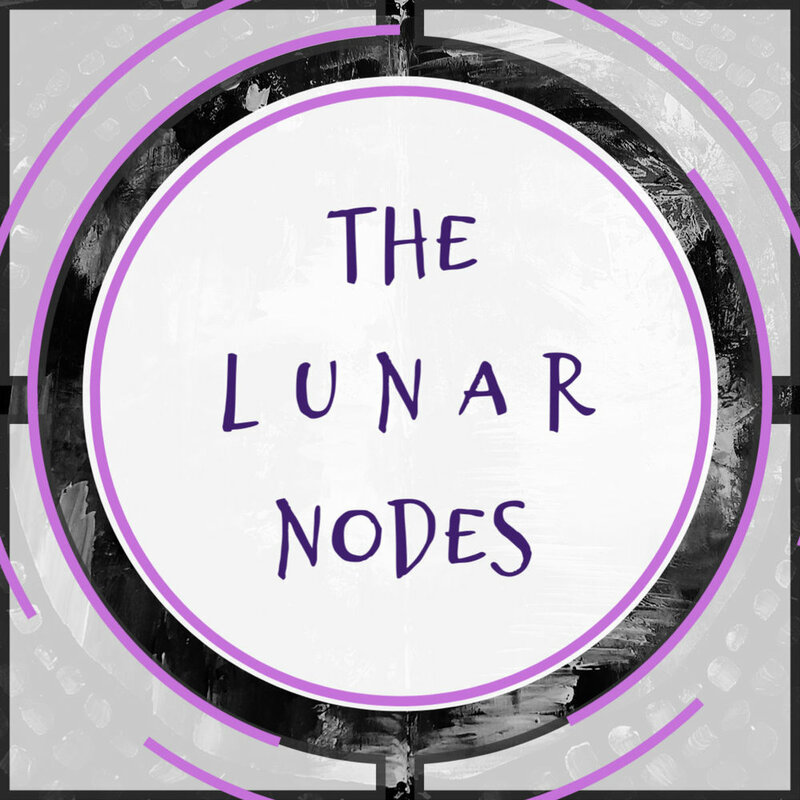 Includes a Moon audio lesson, Cancer video lesson, a guided Moon-archetype Creative Practice Invitation (Two Sides to Every Moon, + Love and Trust) via video(s), and reflective journaling prompts. Is your Sun, Moon or Rising Sign in GEMINI or VIRGO? If so, this "mini" is especially for you. Take a comprehensive look at the archetypes and instincts symbolized by MERCURY and the signs of GEMINI & VIRGO. Includes a Mercury audio lesson, a Gemini & Virgo video lesson, a guided Mercury-archetype Creative Practice Invitation (A Date with Mercury) via video(s), and reflective journaling prompts. Is your Sun, Moon or Rising Sign in TAURUS or LIBRA? If so, this "mini" is especially for you. Take a comprehensive look at the archetypes and instincts symbolized by VENUS and the signs of TAURUS & LIBRA. Includes a Venus audio lesson (32:16), a Taurus & Libra video lesson (38:14), a guided Venus-archetype Creative Practice Invitation (Romancing the Elements) via 6 videos, and reflective journaling prompts. Is your Sun, Moon or Rising Sign in ARIES? If so, this "mini" is especially for you. Take a comprehensive look at the archetypes and instincts symbolized by MARS and the sign of ARIES. Includes a Mars audio lesson, an Aries video lesson, a guided Mars-archetype Creative Practice Invitation (Simple Marks, and Choose It or Lose It) via video(s), and reflective journaling prompts. Is your Sun, Moon or Rising Sign in SAGITTARIUS? If so, this "mini" is especially for you. Take a comprehensive look at the archetypes and instincts symbolized by JUPITER and the sign of SAGITTARIUS. Includes a Jupiter audio lesson (22:28), a Sagittarius video lesson (40:50), a guided Jupiter-archetype Creative Practice Invitation (Go BIG: Uplift Your Spirit) via 2 videos, and reflective journaling prompts. Is your Sun, Moon or Rising Sign in CAPRICORN? If so, this "mini" is especially for you. Take a comprehensive look at the archetypes and instincts symbolized by SATURN and the sign of CAPRICORN. Includes a Saturn audio lesson, a Capricorn video lesson, a guided Saturn-archetype Creative Practice Invitation (Bones, Lines & Beauty In Time) via video(s), and reflective journaling prompts. Is your Sun, Moon or Rising Sign in AQUARIUS? If so, this "mini" is especially for you. Take a comprehensive look at the archetypes and instincts symbolized by URANUS and the sign of AQUARIUS. 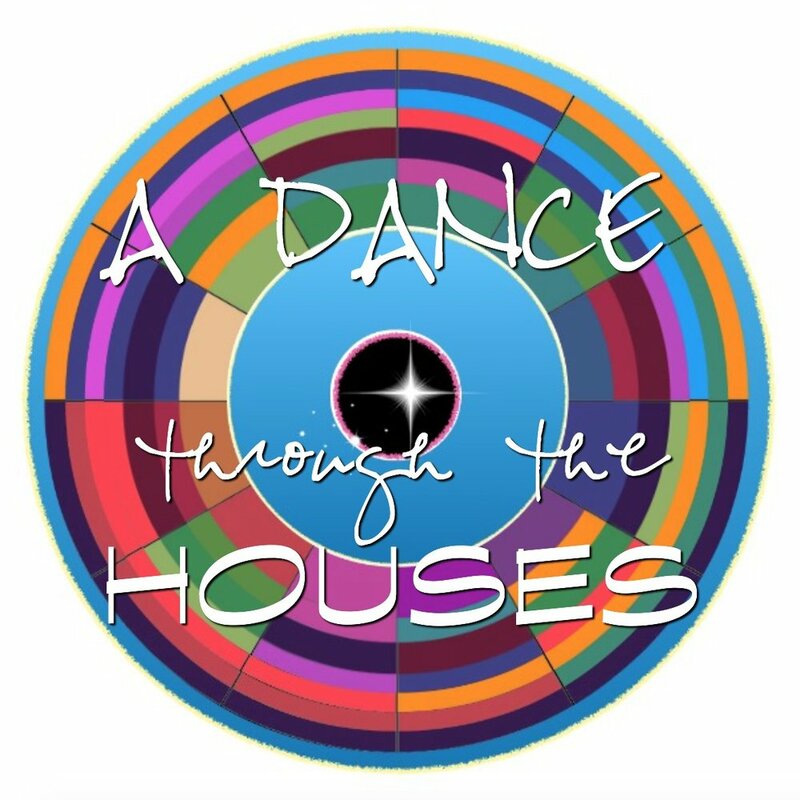 Includes a Uranus audio lesson, a Aquarius video lesson, a guided Uranus-archetype Creative Practice Invitation (Unpredictable) via video(s), and reflective journaling prompts. Is your Sun, Moon or Rising Sign in PISCES? If so, this "mini" is especially for you. Take a comprehensive look at the archetypes and instincts symbolized by NEPTUNE and the sign of PISCES. Includes a Neptune audio lesson (33:23), a Pisces video lesson (57:18), a guided Neptune-archetype Creative Practice Invitation (Unnameable Dreamy Devotions) via 6 videos, and reflective journaling prompts. Is your Sun, Moon or Rising Sign in SCORPIO? If so, this "mini" is especially for you. Take a comprehensive look at the archetypes and instincts symbolized by PLUTO and the sign of SCORPIO. Includes a Pluto audio lesson, a Scorpio video lesson, a guided Pluto-archetype Creative Practice Invitation (Release and emPower) via video(s), and reflective journaling prompts. We all have the “Wounded Healer” archetype, on imperfections and loss, somewhere in our chart. Take a comprehensive look at this archetype and what it symbolizes in your birth chart (and living experience). 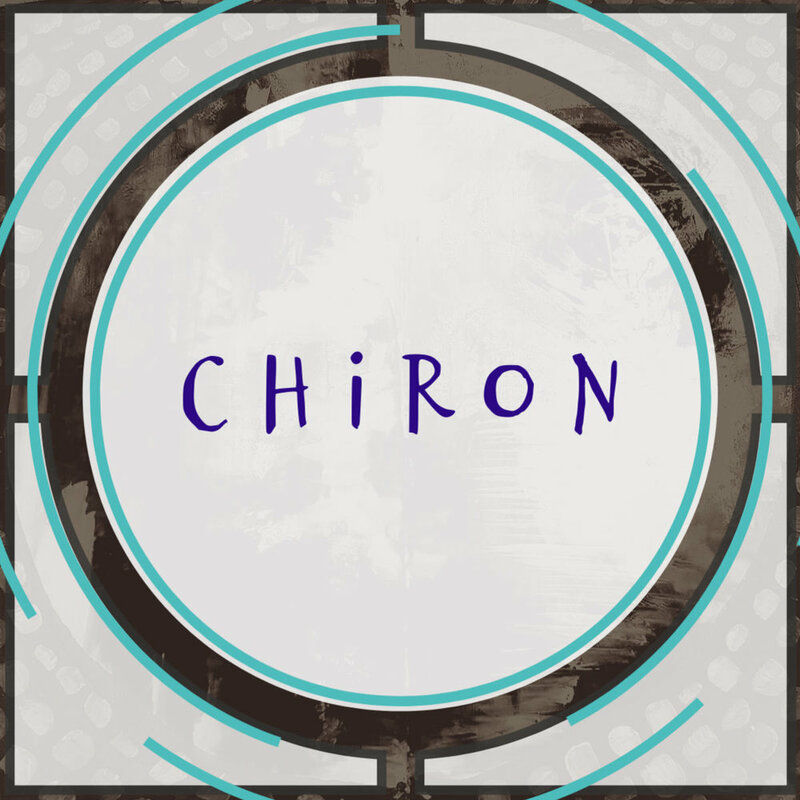 Includes Chiron audio lessons, a guided Chiron-archetype Creative Practice Invitation (The Healing Spirit of Chiron) via video(s), and reflective journaling prompts. We all have a North and South Node in our chart (kind of like your personal “North Star” for navigating a life true to your soul’s work). Explore this ‘evolutionary’ part of your chart. This “mini” is best for those with a solid foundation of astrological basics (such as signs, planets, houses and aspects). Includes several audio lessons, special placement cases, and a guided Creative Practice Invitation (Intuitive chART Consciousness) via videos, plus printables to focus your learning. This is the full, immersive program! Now with self-paced, unlimited access. 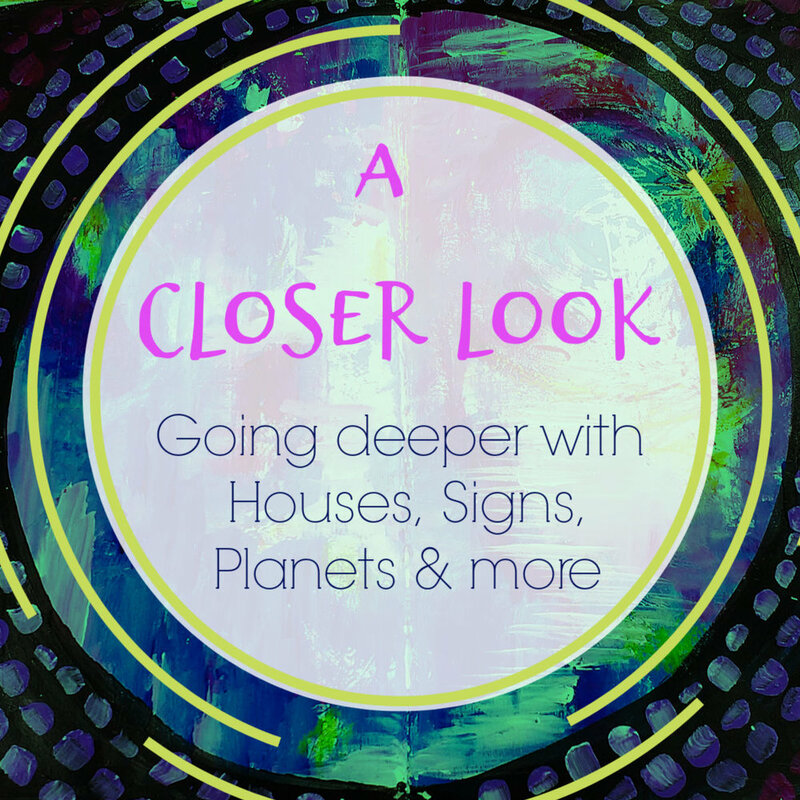 If you know you want to learn more about the signs, planets, houses, Rising Sign, elements, modalities, core aspects, rulers and more, with some fun+helpful printables to guide your learning and help you stay focused on what matters most - then this is the next layer in, toward a deeper relationship with your birth chart, and perfect for you. Includes audio, video and written lesson content. One of the most popular parts of the IN THE STARS program, this eCourse offers over 8 hours of comprehensive video lessons, with reflective prompts on the 12 houses of the zodiac wheel throughout, and optional printable PDF slides to anchor what you’re learning.